The month of Shevat is about the first sparks of the renewal that the earth has to offer. The winter is beginning to ebb and the warmth will return. The trees are beginning to awaken from winter slumber. Slowly and deftly, the inherent wisdom of the natural world is starting its new growth. The sap is beginning to flow up the trunks of the trees and reach toward to clouds. We can now begin to taste the newness and vitality. We have been through the darkest time-the last month, the month of Tevet had the light of the last days of Chanukah. The soul fixing issue for Tevet was about dealing with our anger-and not all anger is wrong-but we need to have the light of our understanding to temper it and not hold the kind of anger that is unhealthy and self-limiting. Saturn is the ruling planet of Tevet-Capricorn- and Shevat-Aquarius-and this is the energy of learning lessons and deeper knowing. The Hebrew letter for Saturn is ‘Bet’ and depicts the idea of a house. We do live in our lessons and our issues. But the letter Bet also begins the word for blessing. 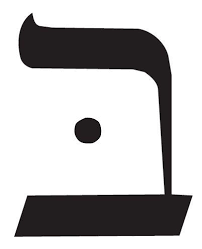 The astrological sign for Tevet is Capricorn and the Hebrew letter that is the energetic force behind the month is ‘Ayin’, which is about seeing and having the ability to draw down what you need and being honest about what you see. We can find our truth and like the goat preserver. If we have done at least some of this work, we will find ourselves on a higher spiritual and emotional plane. Our inner light has been cleansed and like the sap of the tree, it is ready to coarse upward. Aquarius is an air sign. In this sign the mind and spirit take on a universal outlook. While Shevat is much about the budding of the natural world; the Aquarius energy is about connecting with the rest of humanity in its mental outlook. Just as the trees awaken together in their community, the Aquarian strives for humanity’s community. 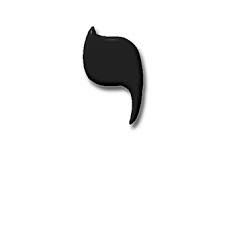 Taste is our soul fixing, or’ tikkun’ for the month. When we swallow something, so fast that we get none of its nuance, none of its flavor, we are not appreciating the great gift that this might be. This does not only relate to food. This is also about how we relate to one another. For example, do we really know what our partner wants or needs when they tell us. Imagine asking that question to your loved one, but you don’t really get the words. You have swallowed their noise before you could even hear the words. We need to engage our minds and our hearts to be in relationship. We need to listen and ingest thoughtfully. Just as the trees have their sap, the water bearing Aquarian has one bucket that is filled with the cosmic water and another bucket that distributes this universal subconscious water of mentality to the very natural earth and all who inhabit it. 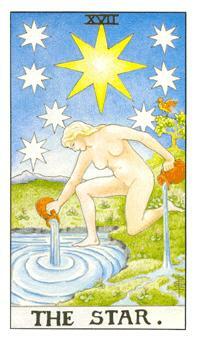 The Star is a card of the natural world. There she is comfortable with nature and her place in it. She is peaceful, open and trusting. This is a card of questing, hopefulness and meditation. The stars above are the stars that are used for earthly navigation and spiritual awareness and guidance. The letter energy for the month-Tzaddi- is the mode of natural intelligence and the emergence of the creative force of nature in a just and righteous manner. Shevat is the renewal of the physical trees as well as a renewal for us of the cosmic tree of life. That is the spiritual and emotional tree that grows in the middle of our life’s garden. Tu B’Shevat- the New Years for the Trees- is commonly thought of as a holiday that celebrates nature. It is typical to plant new trees. While discussed in the Talmud as one of the 4 new years of the Jewish calendar, it did not take on all of the spiritual, or kabbalistic significance until the 1500’s when Isaac Luria-The Ari- saw the depth that this day really holds. Spiritual practice is not only about historic reenactment and connection to our culture, ancestors and to the higher divine power in an obligatory and dogmatic manner. There is another aspect to a religious system that acts as a gate that we can open and walk through to a deeper understanding of ourselves, the spiritual and the rest of the world. Do not follow blind and stay small. The Ari, took the meanings of the month of Shevat and expanded them into a celebration Seder.There are 4 sections to this Seder;one for each season and for each of the 4 spiritual worlds. A Along with drinking 4 glasses of wine,which range from all white to mixed to all red, we eat different fruits and nuts that also that represent each season and each of the 4 spiritual worlds. Happy New Year for our trees who need us to care for them more than ever. This entry was posted in Kabbalah and Jewish Studies. Bookmark the permalink.